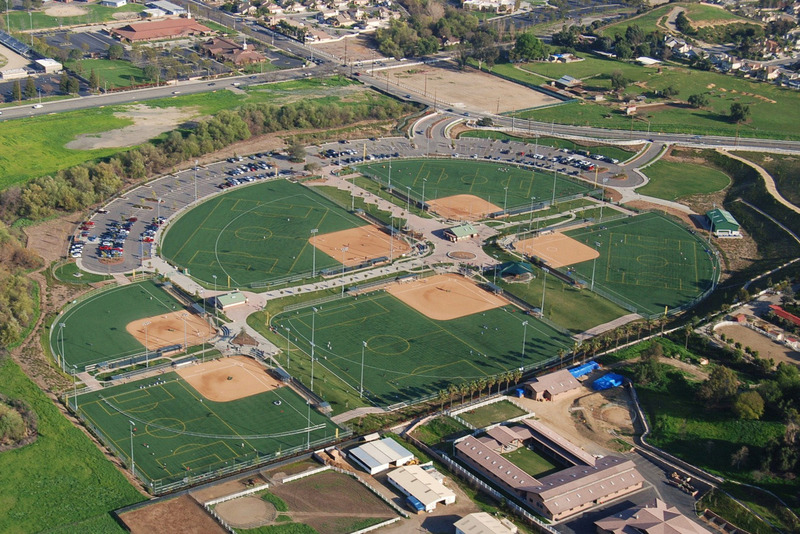 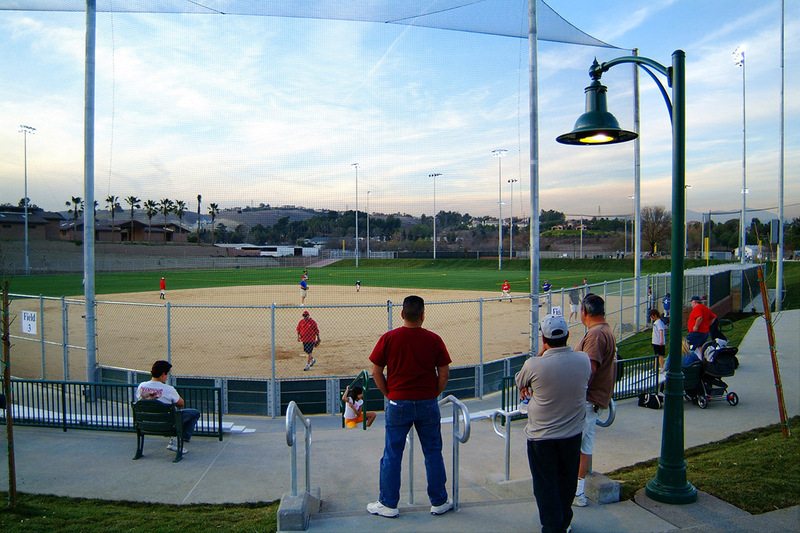 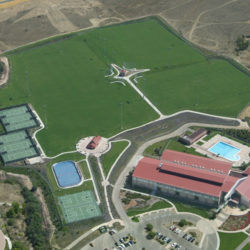 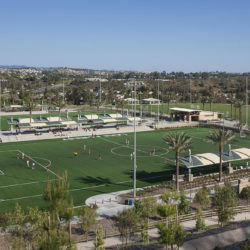 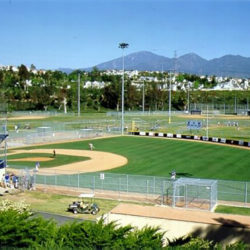 Encompassing a 33 acre site, the Chino Hills Community Park is designed for multi-use sports fields. 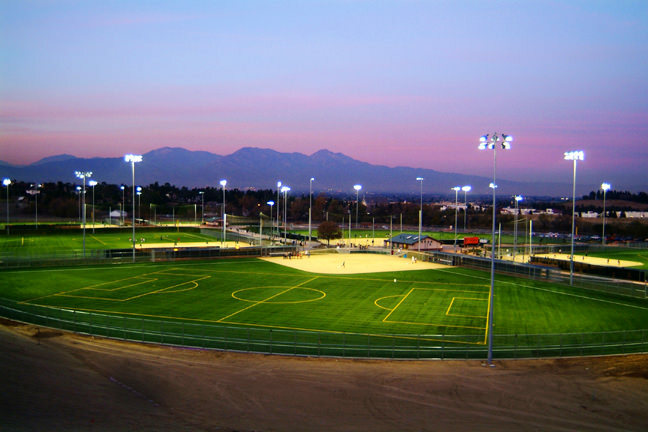 Utilizing synthetic turf play surfacing and lights for night games, the fields accommodate youth baseball, adult softball, and soccer games. 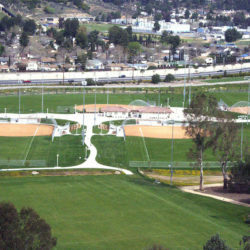 The facility has been designed to provide convenient parking and pedestrian access to three spectator promenade areas. 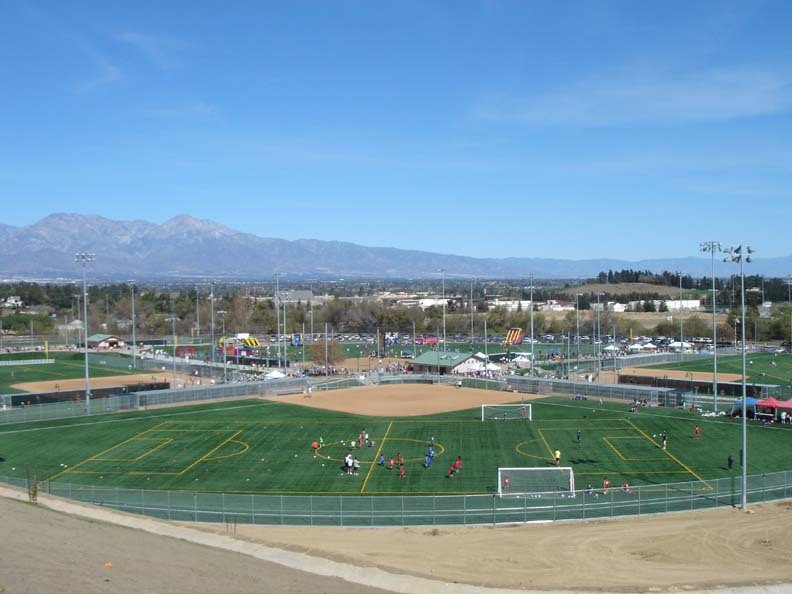 The project also provides for 425 parking stalls, group picnic areas, two restroom and concession buildings, tot lot area, open play area, maintenance building and yard, preservation and enhancement of an adjacent riparian corridor and a bio-swale filtration system to promote water quality.